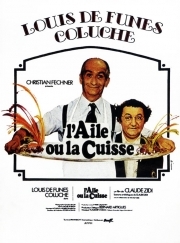 Charles Duchemin (Louis de Funès) is the editor of an internationally known restaurant guide. 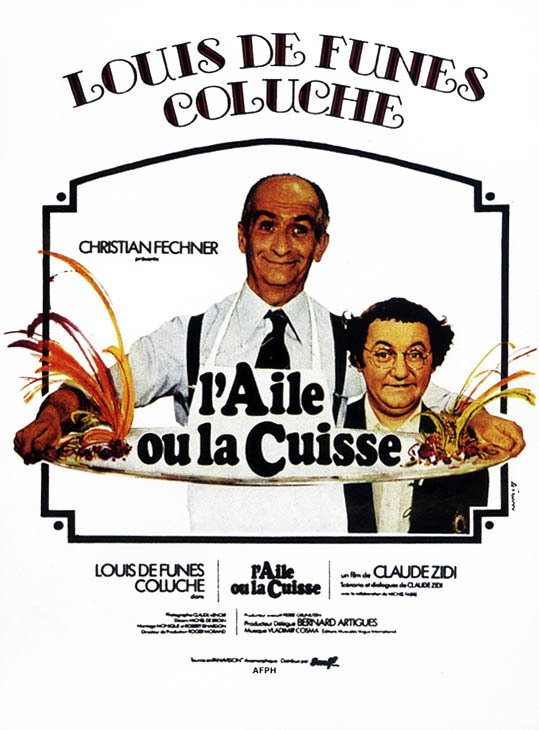 After being appointed to the Académie française, Duchemin decides to retire as a restaurant critic and trains his son Gérard to continue the family business. However, Gérard Duchemin is more interested in his true passion—the circus—than high cuisine. Soon, however, Charles' plans to retire are complicated by the arrival of Jacques Tricatel , the owner of a company of mass-produced food. Fearing for the future of high cuisine, Charles and his son strive to ruin Tricatel's company in any way they can. Whole or part of the information contained in this card come from the Wikipedia article "L'Aile ou la Cuisse", licensed under CC-BY-SA full list of contributors here.